Security isn't the first thing most people think of when they start shopping for a smartphone. We care a lot more about apps, ease of use, price, design, and that used to be right. But now that most people have huge amounts of personal data on their phones, security is more important than ever. 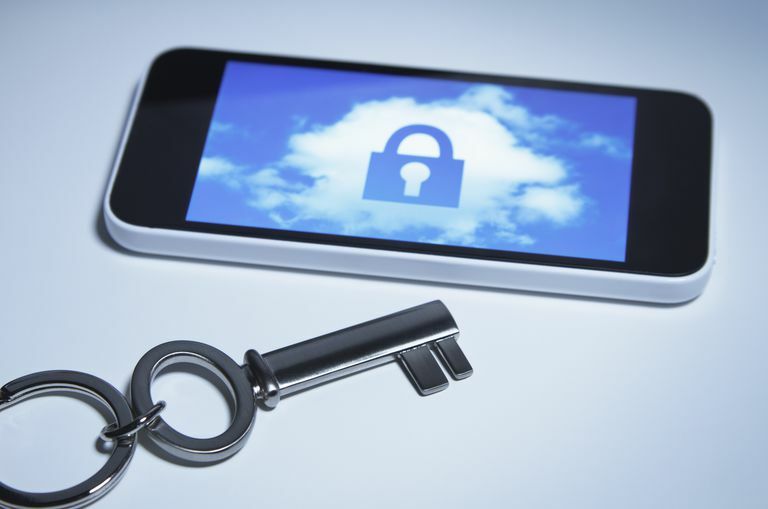 When it comes to the security of your smartphone, which operating system you choose makes a big difference. The ways in which operating systems are designed and maintained goes a long way in determining how secure your phone will be, and the security offered by the leading smartphone options is very different. If you care about having a secure phone and keeping your personal data personal, there's only one smartphone choice: iPhone. Do These 7 Things to Make Your iPhone More Secure. Market share can be a major determiner of an operating system's security. That's because virus writers, hackers, and cybercriminals want to have the biggest impact that they can and the best way to do that is to attack a very widely used platform. That's why Windows is the most-attacked operating system on the desktop. On smartphones, Android has the largest market share worldwide; about 85% compared to iOS's 15%. Because of that, Android is the #1 smartphone target for hackers and criminals. Even if Android had the best security in the world (which it doesn't), it would be virtually impossible for Google and its hardware partners to close every security hole, fight every virus, and stop every digital scam while still giving customers a device that's useful. That's just the nature of having a huge, widely used platform. So, market share is a good thing to have, except when it comes to security. In that case, being smaller, and thus a smaller target, is best. Given that Android is the biggest target for hackers, it should be no surprise that it has the most viruses, hacks, and malware attacking it. What may be a surprise is just how much more it has than other platforms. According to one study, 97 percent of all malware attacking smartphones targets Android. According to this study 0% of the malware they found targeted the iPhone (that's probably due to rounding. Some malware targets the iPhone, but it's likely less than 1%). The last 3% took aim at Nokia's old, but widely used, Symbian platform. That's just one study, of course, but the basic trend is that Android is overwhelmingly most targeted by virus writers. If you're not a programmer this can be a complex one, but it's very important. The way Apple and Google have designed their operating systems and the way they allow apps to run is very different and leads to very different security situations. Apple uses a technique called sandboxing. This means, essentially, that every app runs in its own walled-off space (a "sandbox") where it can do what it needs to, but can't really interact with other apps or, beyond a certain threshold, with the operating system. This means that even if an app did have malicious code or a virus in it, that attack couldn't get outside of the sandbox and do more damage. Apps have more extensive ways to communicate with each other starting in iOS 8, but sandboxing is still enforced. "We can not guarantee that Android is designed to be safe, the format was designed to give more freedom ... If I had a company dedicated to malware, I should also be addressing my attacks on Android." Another place that security comes into play is the two platforms' app stores. Your phone can generally stay secure if you avoid getting a virus or hacked, but what if there's an attack hiding in an app that claims to be something else entirely? In that case, you've installed the security threat on your phone without even knowing it. While it's possible that that could happen on either platform, it's much less likely to happen on iPhone. That's because Apple reviews all apps submitted to the App Store before they're published. While that review isn't conducted by programming experts and doesn't involve an exhaustive review of an app's code, it does provide some security and very, very few malicious apps have ever made it into the App Store (and some that did were from security researchers testing the system). Google's process of publishing apps involves much less review. You can submit an app to Google Play and have it available to users in a couple of hours (Apple's process can take up to two weeks). Similar security features are available on both platforms, but Android makers tend to want to be first with a feature, while Apple usually wants to be the best. That's the case with facial recognition. Both Apple and Samsung offer facial-recognition features built into their phones that make your face the password used to unlock the phone or authorize payments using Apple Pay and Samsung Pay. Apple's implementation of this feature, called Face ID and available on the iPhone X, XS, and XR, is more secure. Security researchers have shown that Samsung's system can be tricked with just a photo of a face, rather than the real thing. Samsung has even gone so far as to provide a disclaimer to the feature, warning users that it's not as secure as fingerprint scanning. Apple, on the other hand, has created a system that can't be fooled by photos, can recognize your face even if you grow a beard or wear glasses, and is the first line of security on the iPhone X, XS, and XR. One thing that can dramatically reduce how secure the iPhone is is whether the phone is jailbroken. Jailbreaking is the process of removing a lot of the restrictions that Apple places on iPhones to allow the user to install virtually whatever apps they want. This gives the users a tremendous amount of flexibility with their phone, but it also opens them up to a lot more trouble. In the history of the iPhone, there have been very, very few hacks and viruses, but those that have existed almost all attacked jailbroken phones only. So, if you're thinking about jailbreaking your phone, keep in mind that it will make your device much less secure.